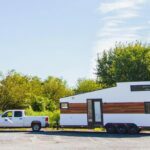 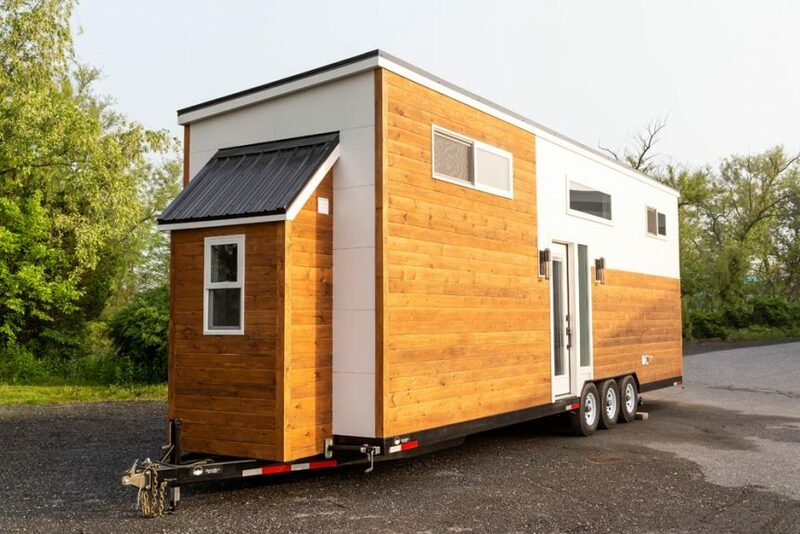 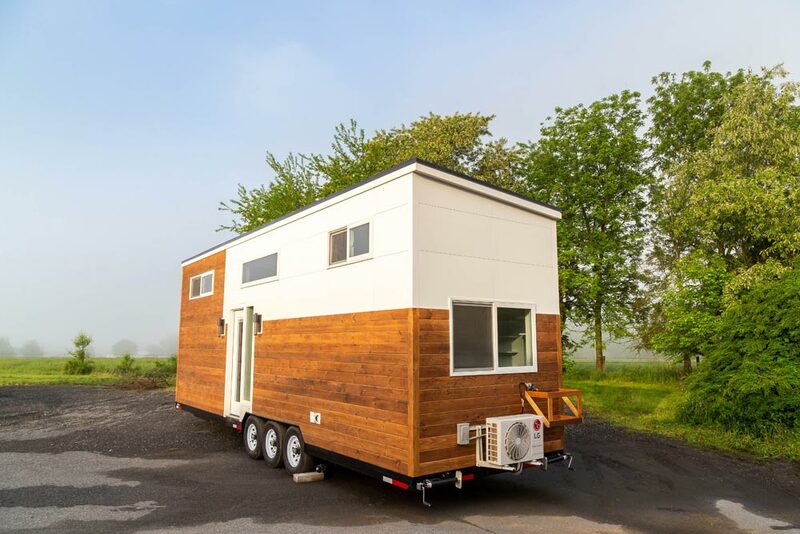 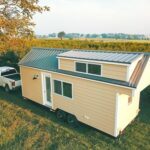 The Modern One is a sleek, stylish 32-foot tiny house by Liberation Tiny Homes. 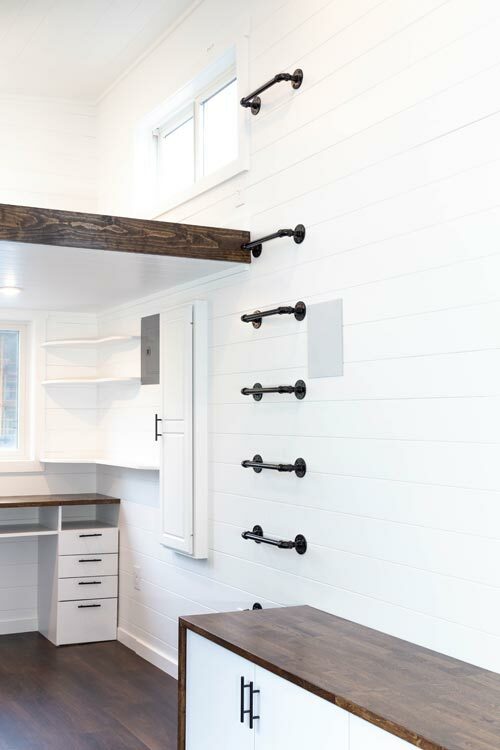 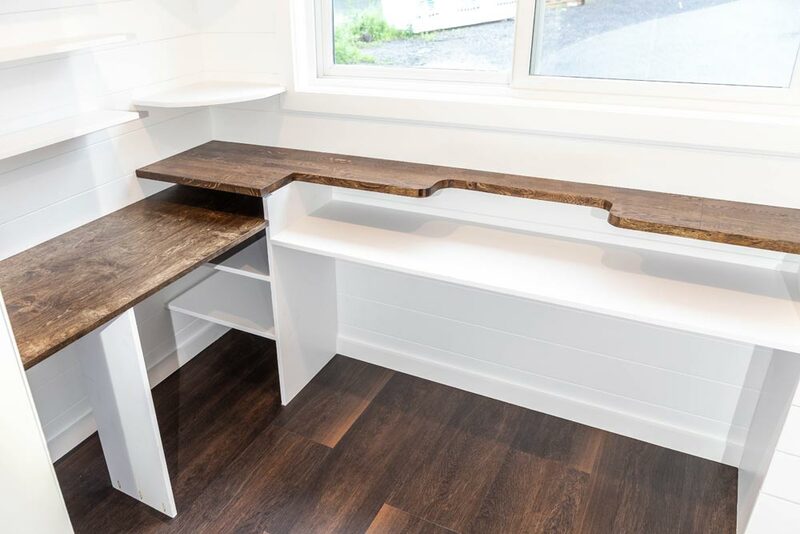 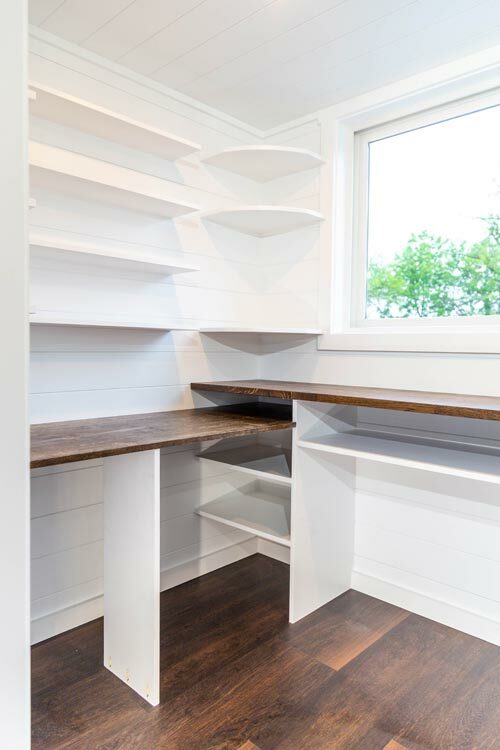 The home is 385-square-feet and includes an office with built-in desk, drawers, and shelves. 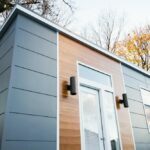 The exterior is clad in white Versatex panels and clear cedar accents, and topped with a Galvalume 30-year shed style roof for easy maintenance. 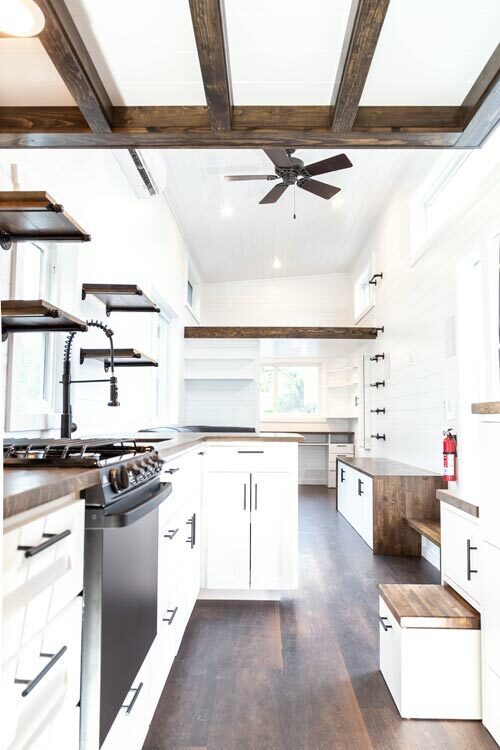 The windows are Anderson 100 Series and the home is heated and cooled with an LG 9000 BTU mini-split system. 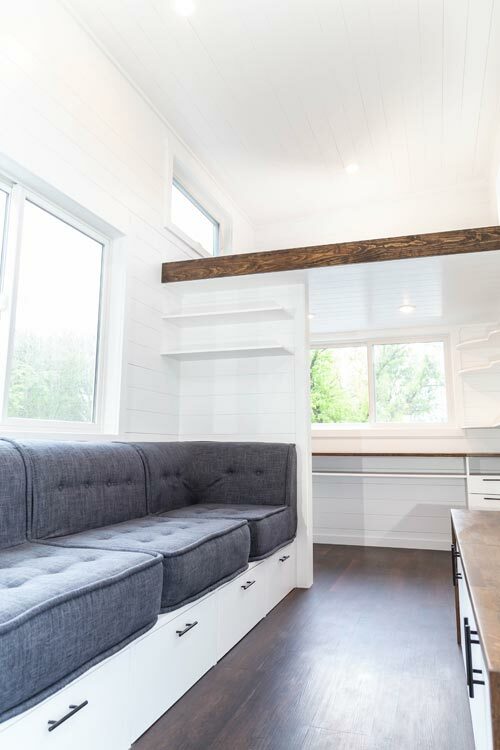 Inside the Modern One is a mix of bright whites and warm wood finishes. 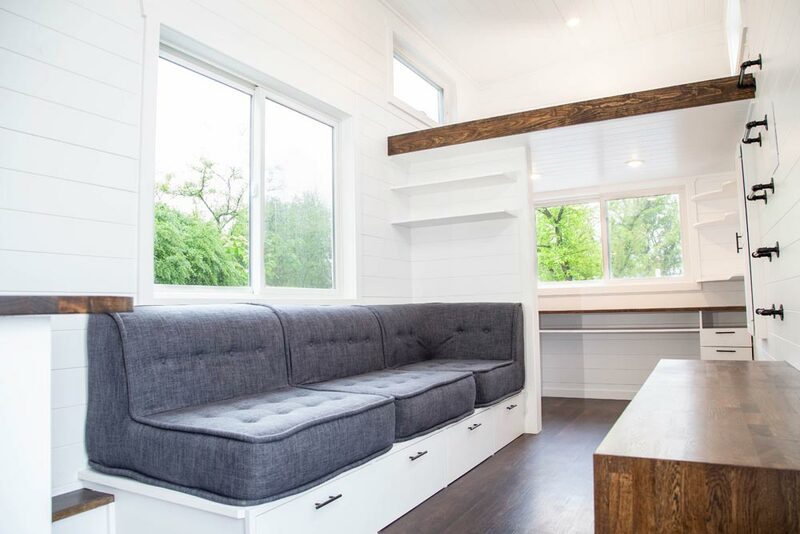 The living room has a built-in couch with gray cushions and a built-in entertainment center. 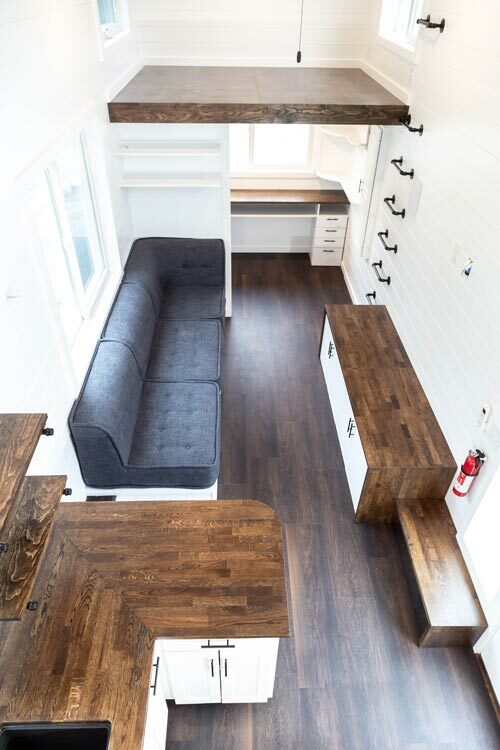 To one side of the living room is the office area with a loft above. 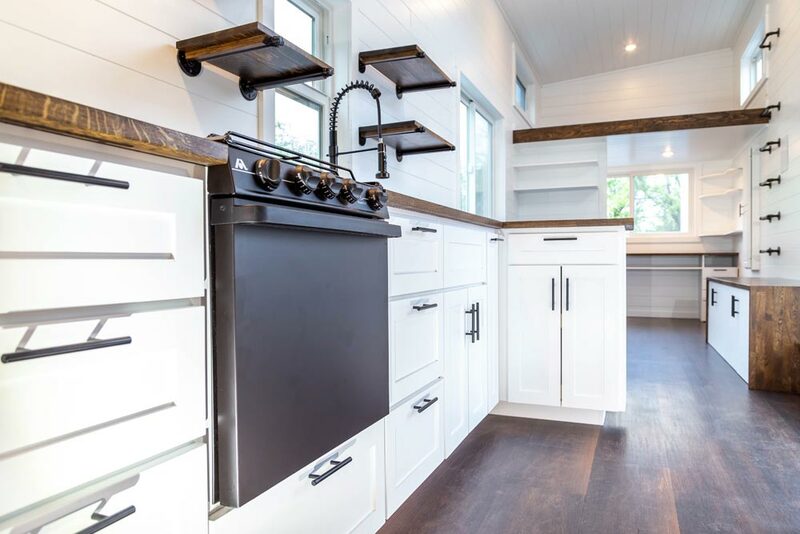 To the other side of the living room is the kitchen with butcher block counters, white cabinetry, and a box beam ceiling. 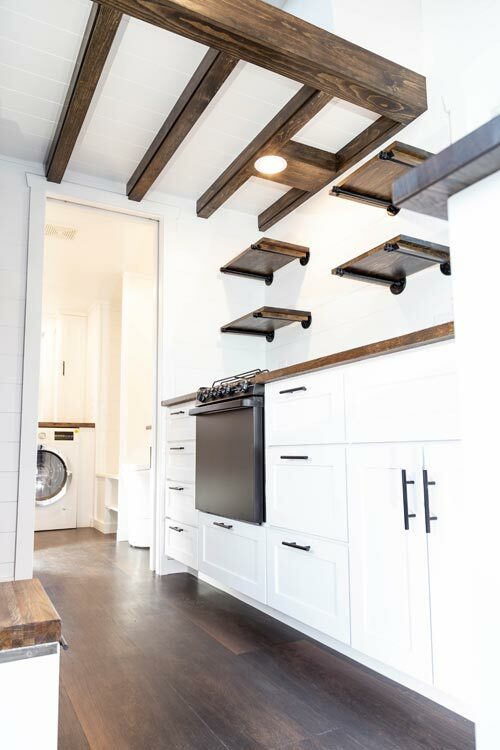 Behind the kitchen is a storage staircase with slide-out first step. 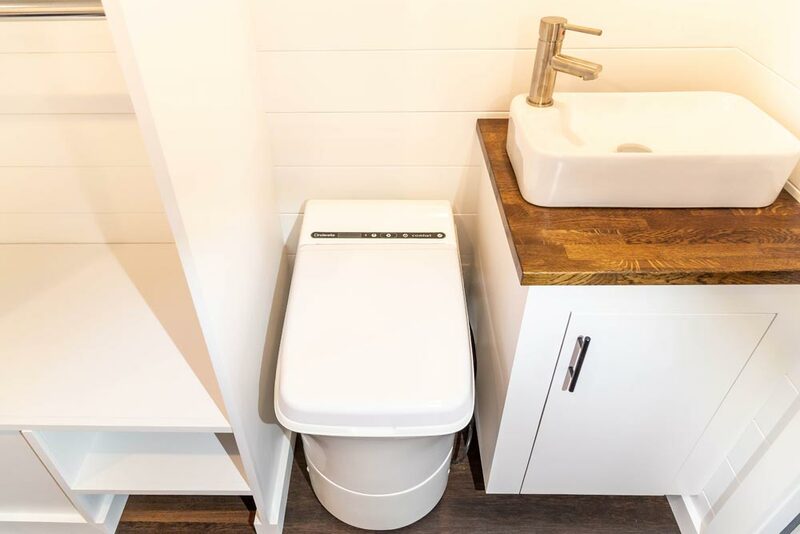 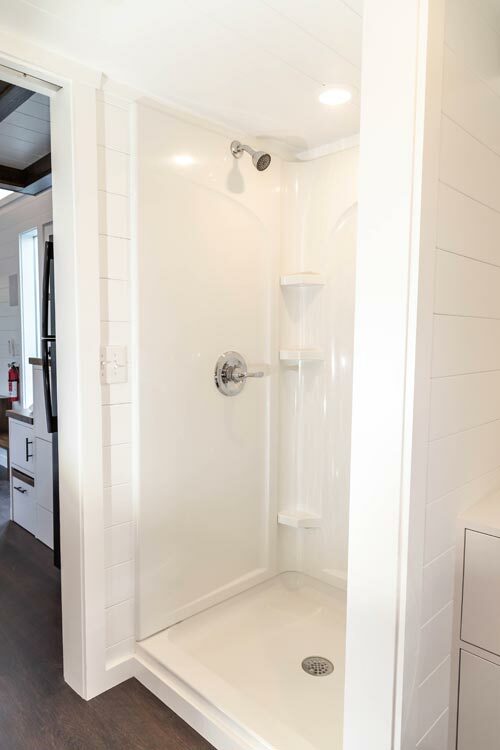 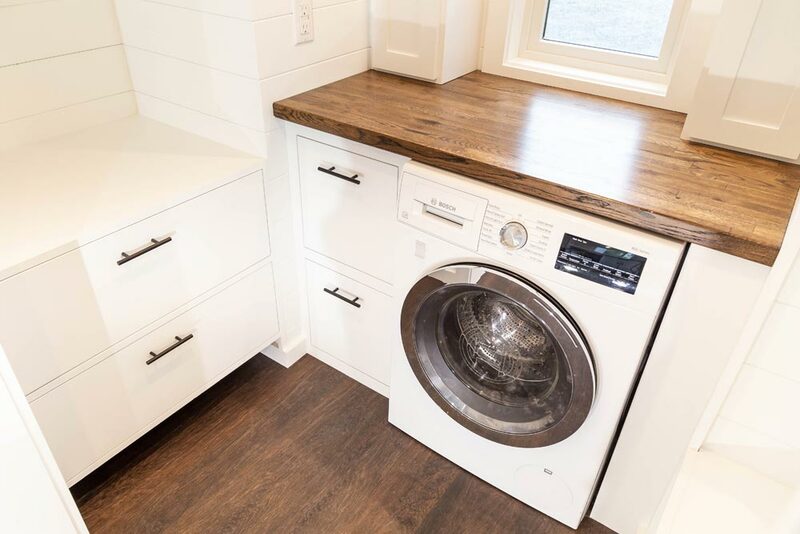 In the bathroom is a combo washer/dryer with folding table, a vessel sink, shower, and composting toilet. 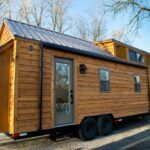 The Modern One was priced at $70,500. 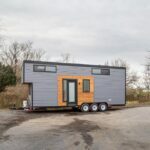 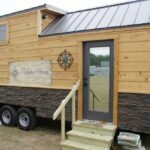 For more information, please contact Liberation Tiny Homes.